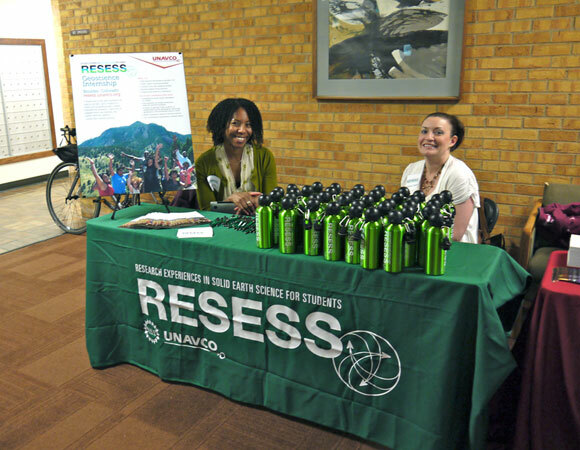 Aisha R. Morris is excited to join the UNAVCO team as an Education and Community Engagement Specialist, and Director of the RESESS Program. Most recently, Aisha worked in the office of Representative Rush Holt (NJ-12) as the 2011-2012 William L. Fisher Geosciences/American Association for the Advancement of Science (AAAS) Congressional Science Fellow. 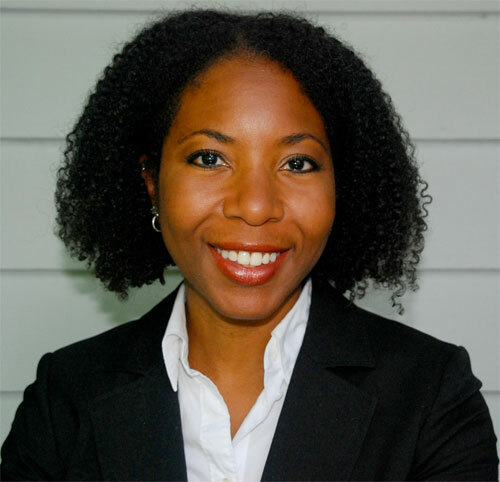 Prior to her AAAS Fellowship, Dr. Aisha Morris was an Alliance for Graduate Education and the Professoriate Postdoctoral Fellow at Syracuse University. During her time in Syracuse, she continued her work as a planetary volcanologist, as well as participated extensively in science education and community outreach initiatives. Dr. Morris earned her BS in Geology with High Distinction from Duke University and both her MS and PhD in Geology and Geophysics from the University of Hawaii. Dr. Morris’ graduate and postdoctoral research interests focused on the geology and evolution of volcanic terrains on Earth and other terrestrial planets, contributing to discoveries regarding the presence and location of water in recent Martian history. In addition to geological research, Dr. Morris has a passion for exposing as many people to the importance of the earth sciences as possible. She volunteered in the Earth Science classroom of the Science and Technology Entry Program, educating and exciting students about the earth sciences, including job and intellectual potential within the field. During the summers of 2010 and 2011, Dr. Morris also acted as Camp Director for the Girls Get It! science, technology, engineering and mathematics (STEM) camp for middle school girls from the Syracuse City School District. Figure 1. 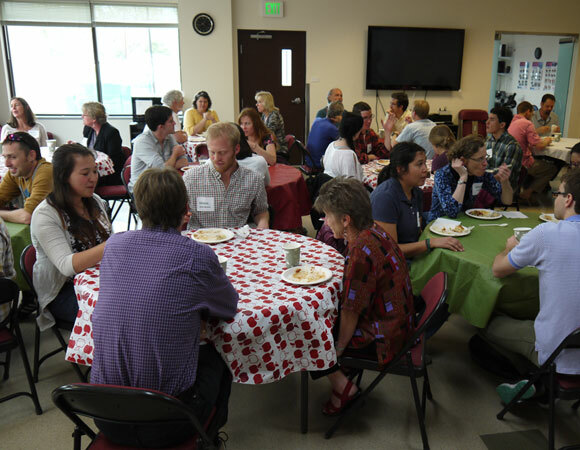 RESESS (UNAVCO), SOARS (UCAR), and NEON interns gather for a kick-off meet-and-greet dinner on the University of Colorado Boulder campus. Photo by Megan Berg. Figure 2. 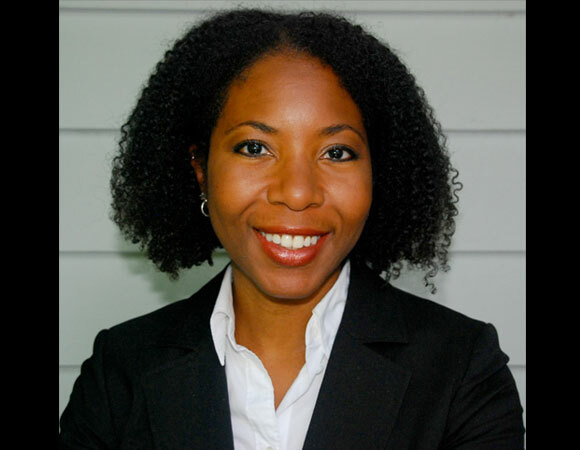 UNAVCO welcomes Dr. Aisha Morris as the new RESESS director. Figure 3. 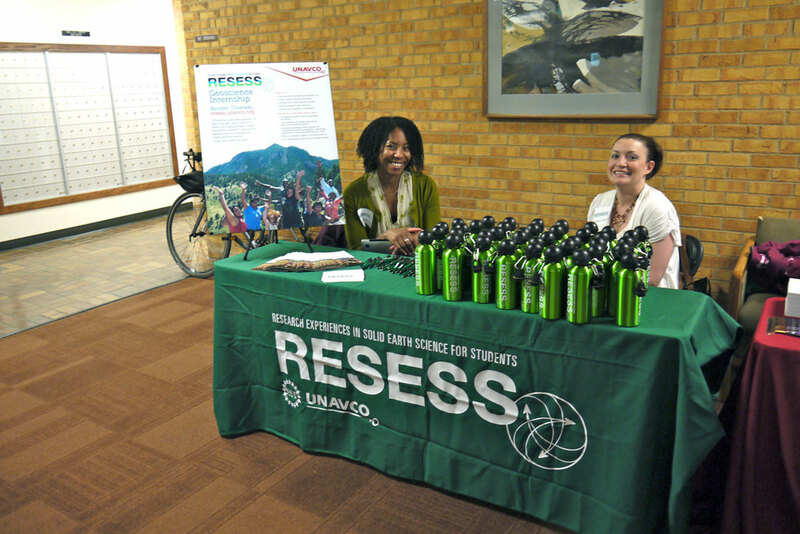 Aisha Morris and Melissa Weber welcome the 2013 RESESS interns. Photo by Megan Berg. Figure 4. 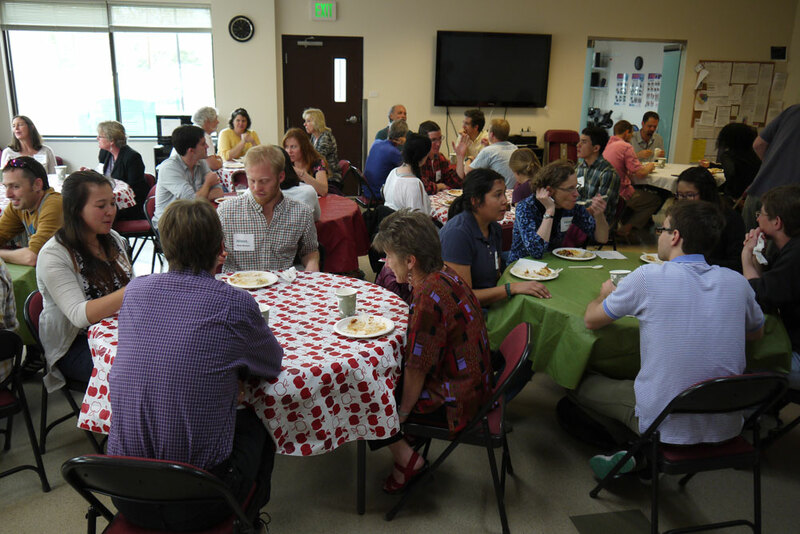 RESESS (UNAVCO), SOARS (UCAR), and NEON interns gather for a kick-off meet-and-greet dinner on the University of Colorado Boulder campus. Photo by Megan Berg. Figure 5. 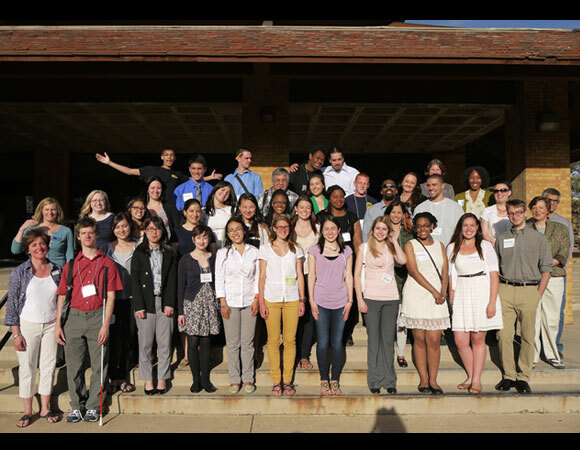 2013 RESESS interns meet with their mentors and UNAVCO staff at UNAVCO. Photo by Megan Berg. Stephen completed his undergraduate studies at the University of Texas at El Paso in May 2009 with a degree in Mathematics. 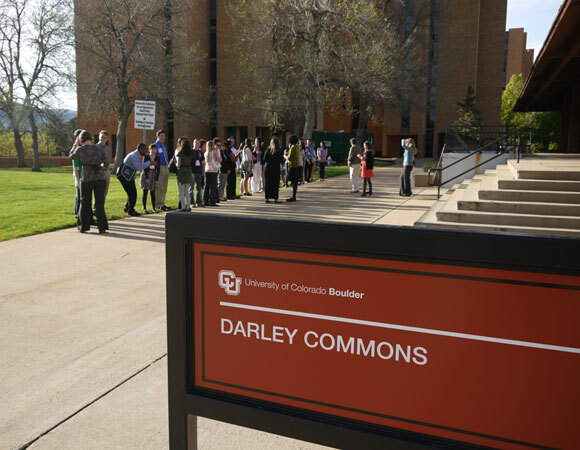 As an undergraduate, he was exposed to the geological sciences department and saw connections between some of the mathematical and computational aspects of geology- in particular, seismology. These connections were amplified by his experiences in the RESESS program. 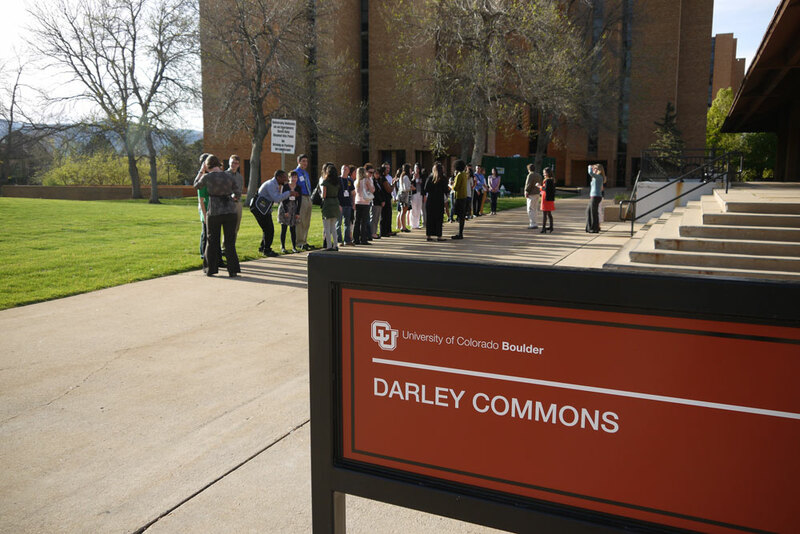 During Stephen's RESESS experience, he had the opportunity to sample a diverse range of topics in the solid earth sciences including seismology, geomorphology, and geodesy. His interactions with UNAVCO and RESESS took him to multiple countries: Tanzania, New Zealand, Antarctica, Argentina, Uruguay, Fiji, Tonga and numerous US states for multiple conferences and field deployments. Currently, Stephen is a third year graduate student in the Earth and Planetary Sciences department at the University of California, Santa Cruz. He is preparing to take his qualifying exam in May so that he can advance to candidacy and graduate by June 2015. Stephen works with Emily Brodsky and Susan Schwartz on topics mostly related to earthquake physics. "Even in my years as a graduate student, much of my work has or will rest on prior research made possible by UNAVCO-installed GPS monuments and strainmeters in California & Western US, and Costa Rica. 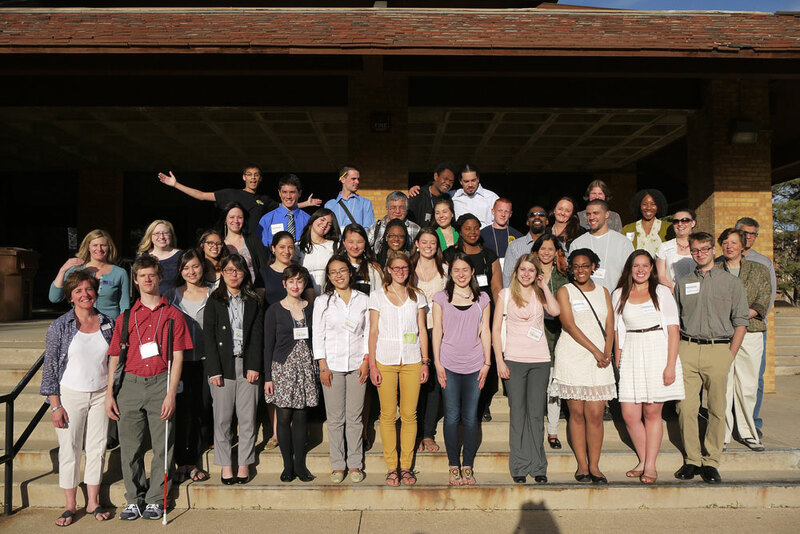 It is difficult to over-estimate the impact the RESESS program has had on getting my scientific career off the ground. The focused mentoring and cutting-edge research and programming has given me the tools I need to succeed in graduate school." RESESS es un programa de internado en verano que busca aumentar la participación de estudiantes universitarios minoritarios en la geociencia. We support our interns intensively in what is a challenging work experience. Each student has a science mentor who guides them on the research project and a writing mentor who works with the student on their research paper.